1/32 TRUMPETER REPUBLIC F-105G WILD WEASEL 02202 2003. Parts are all sealed in original plastic. Parts included bomb bay assembly, nose & main landing gear, rear fuselage section, and more. See Photos. SUKHOI SU -25 FROGFOOT A. FROM TRUMPETER #02276. Loose Cannon Models. Alclad II Lacquers. Failure to comply with this will result in unpaid item filing. Yahu Model. WingNut Wings. Warpaint Books. Verlinden Built Models. Valkyrie Miniature. 1/32 TRUMPETER LOCKHEED P-47D THUNDERBOLT RAZORBACK #02262 2014. Parts are all sealed in original plastic. 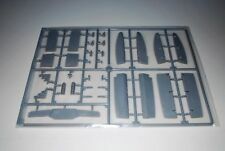 Parts included upper and lower wing halves for starboard and port. Box not included. C - WING ASSEMBLY. 1/32 TRUMPETER LOCKHEED P-47D THUNDERBOLT RAZORBACK #02262 2007. Parts are all sealed in original plastic. Parts included for eight. 50 Cal machine guns, 2 versions. Box not included. THE FRUITCAKE RULE. 1/32 TRUMPETER LOCKHEED P-47D THUNDERBOLT RAZORBACK #02262 2014. 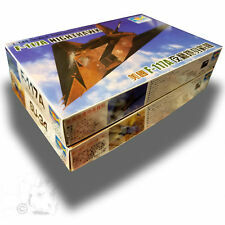 Parts are all sealed in original plastic.Parts included are lower wing panels. Box not included. H - LOWER WING PANELS. You are responsible for these fees and they will NOT be reimbursed. 1/32 TRUMPETER LOCKHEED P-47D THUNDERBOLT RAZORBACK #02262 2007. Decals are all sealed in original plastic. THE FRUITCAKE RULE. ---DO NOT USE! BUY IT NOW---. 1/32 TRUMPETER A-1H/AD-6 SKYRAIDER 02253 2013. Parts are all sealed in original plastic. Parts included are Mk-117, AN-M66 2000 lb bomb, center & wing tanks. ORDNANCE MORE. 1/32 TRUMPETER A-1J/AD-7 SKYRAIDER 02254 2014. Parts are all sealed in original plastic. Parts included are Mk-117, AN-M66 2000 lb bomb, center & wing tank parts. ORDNANCE MORE. 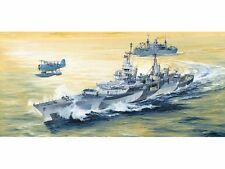 1/32 TRUMPETER VOUGHT F4U-4 CORSAIR #02222 2003. Parts are all sealed in original plastic. Parts included are s & p fuselage halves, bulkheads, and more. Box not included. You are responsible for these fees and they will NOT be reimbursed. This is the 1/35 Trumpeter Russian BMD-3 Airborne Fighting Vehicle #09556. This kit is in as new condition sold as is. Kit requires assembly and painting,paint and glue not included. Paragon Designs. 1:1 Scale Weapon Models. Hobby Boss. Star Wars Collectibles. Alliance Model Works. Super Scale Int. Reality In Scale. Star Decal - Bison. Trumpeter 1/35 Spanish Army VRC-105 Centauro RCV Parts Sealed. Condition is New. Shipped with USPS Priority Mail. Brand new kit complete with parts sealed. I will combine shipping if requested! Please see my eBay rating. Thanks for the bids and have a blessed day! 1/32 TRUMPETER GRUMMAN F6F-5N HELLCAT NIGHT FIGHTER #02259 2007. See photos. BOX NOT INCLUDED! You are responsible for these fees and they will NOT be reimbursed. THE FRUITCAKE RULE. ---DO NOT USE! Trumpeter is an internationally recognized injection molded plastic model kit manufacturer that produces unique subjects of excellent detail and quality. This high-quality tool is perfect for preparing and using waterslide decals for plastic scale model kits. Floor pan has larger rear wheel wells to allow for a bigger and wider rear tire. Models and bodies in pics NOT INCLUDED JUST THE FLOOR PAN!! Aero Master Decals. Hobby Craft. Master Model. Model Technologies. Failure to comply with this will result in unpaid item filing. Yahu Model. WingNut Wings. Warpaint Books. 1/350 USN SC1 Seahawk Seaplane Aircraft Set (6/Bx). 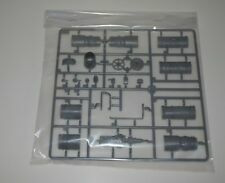 Yakolev Yak-18 Max 1/32 Trumpeter Lots Of Parts What You See Is What You Get. 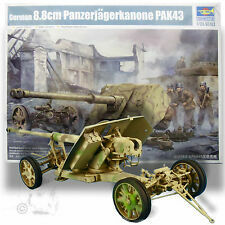 This is a plastic model kit that you assemble and paint. Decals included for two versions. See Photos. BOX NOT INCLUDED! THE FRUITCAKE RULE. You are responsible for these fees and they will NOT be reimbursed. ---DO NOT USE! BUY IT NOW---. Trumpeter A-1D AD-4 Skyraider 1/32 Model Kit P/N: 02252 Parts are sealed! Trumpeter A-1D AD-4 Skyraider 1/32 Model Kit P/N: 02252 Parts are sealed! I will combine shipping if requested! Please see my eBay rating. It is important to me! Trumpeter Chinese 105mm Type 75 Recoilless Rifle 1:35 Model Kit NIB sealed. Condition is New. And it also has extra decals, so this kit has many extras. Oh ya also has canopy mask. Look at all the extra stuff you get with this kit its really a great deal with all the extras. GREAT DEAL FOR KIT AND ALL THE EXTRA STUFF THE RESIN COCKPIT GOES FOR 50 BUCKS BY ITS SELF.